Research Triangle Park, NC — Today, IEM announced that Earl Randall, III, has joined IEM as the Director of Community Development Block Grants – Disaster Recovery (CDBG-DR) Compliance and Monitoring. Prior to joining IEM, Randall served as U.S. Department of Housing and Urban Development (HUD) Field Office Director for the state of Louisiana from 2014 through 2018. During his tenure as Field Office Director, Randall led a full-service office that provided programs and services in community planning and development as well as public housing, multi-family housing, single-family housing, and fair housing. Randall serves in IEM’s CDBG-DR Programs Department. While serving with HUD, Randall was the principal management official for the Louisiana field office, where he forged strong partnerships with federal, state and local officials. Randall also coordinated housing recovery functions as part of the National Disaster Recovery Framework (NDRF) for the state. In that role, he served as the Housing Recovery Support Function (RSF) field coordinator for disaster recovery efforts for the Louisiana Great Floods of 2016 and also provided technical assistance to the state of Texas after Hurricane Harvey and to Puerto Rico after Hurricane Maria. From 2007 to 2014, Randall was a senior disaster specialist in HUD’s Disaster Recovery and Special Issues Division. In that position, he served as lead representative for the state of Louisiana as well as for the state of New York’s long-term disaster recovery efforts funded through Congressional supplemental disaster appropriations. 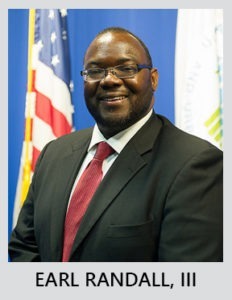 His service at HUD extends back to 2000, when he first joined the agency as a Presidential Management Intern/Fellow. Randall holds a Master’s of Public Administration from Louisiana State University’s Public Administration Institute and a B.A. in General Studies, with concentrations in political science, mathematics, and speech communications, from Louisiana State University.